What a curiosity. 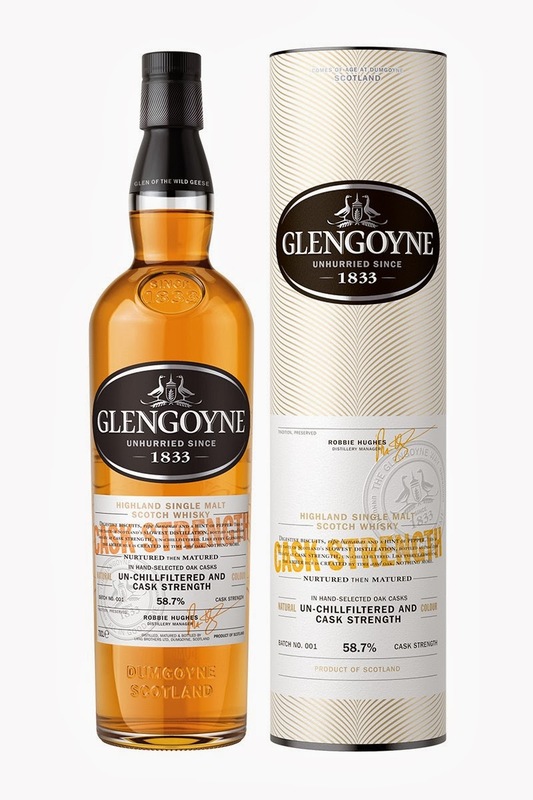 The Glengoyne Cask Strength beams with clean youthfulness lacking in rough edges and yet projects layers of complexity without heavy woodiness. I think the clean nature of this whisky is in part the result of Glengoyne’s tradition of air drying barley and allowing alcohol vapours to have a lot of contact with copper through slow distillation thereby allowing the copper to absorb sulfides in the alcohol and accentuate esters. However, beyond that, there is something more interesting about this whisky in my opinion: golden cuts and sherry wood. That clean sweet ethanol, youthful and lacking in rough edges with heavy notes of crushed biscuit, indicates to me at least that this whisky is made up of carefully selected cuts that have matured in carefully selected and highly aggressive sherry wood (first fill, for example) for the right amount of time. The result is a whisky that does not need to hide behind the wood, as its raw ingredients shine with mild shimmers of sherry that gradually intensify into a drying sherry wood finish. Delicious. With water, it morphs into a fruitier, sweeter, more rounded and plump sherried beauty without the degree of dryness or wood notes noticed at cask strength. (For an explanation of distilling, copper, cuts, wood etc, please see: Malt Mileage Guide to Spirit Making). Nose: The bouquet is immediately sweet, creamy, youthful and complex. The sweetness of baked apple, raisins and sherry accompany undercurrents of sugary English style overproof rum (Holey Dollar Gold Coin, Inner Circle Green Dot etc) and layers of banana and walnut loaf, as hints of mint and creamy vanilla soften sparks of pepper, struck matches and the always present cereal notes that present themselves in the form of buttered crushed biscuits, wholemeal and dried oats. This is hugely impressive, and the sweet smell of ethanol – a distiller’s prize alcohol – indicates that this whisky comprises of some golden cuts and clean hearts. With water: The fruit and sugars become more rounded, as that sharp rum suddenly vanishes and is replaced by raisin cake, mild chocolate and a weak watery cappuccino. The mint sweetens with anise seed notes, as the sweet ethanol shines. This is an example of great distilling and cask selection. Taste: Crisp, powerful, clean and bursting with character. Custard and banana notes emerge first with brown sugar and crushed biscuits (similar to cheesecake base). At mid-palate the dryness begins to intensify, as the burst of overproof English pot still rummy character develops together with more tart acidic fruit and dry wood. With water: Rummy, the English pot still rum character remains but it is softer with more fruit notes, Christmas cake and sherry. With a dash of water the sherry wood really opens up, projecting mostly cocoa and sweet sugary sherry. Finish: The sharp oak driven character becomes more dominant, with denser sugars, syrupy complexity and a drying spicy finish. With water: Long, again with the sherry and dark chocolate take a leading role with raisin. The drying woody finish as at cask strength is less pronounced as the sherry and fruit take over. Beaming youthfulness without the rough edges and complexity without heavy woodiness – very rare indeed.